Today starts our recognition of Financial Literacy month, and in honor we will be posting tips here in the blog each day of the workweek. Each of the next four weeks will have a theme, this week is credit, next week will be debt, then spending and savings, and the last week will cover spending plans . There will also be a free white paper available to you on our website for each of the themes. It is important to start building your credit, because a positive credit score is crucial to your finances. With a good credit score you can qualify for a home loan, get great interest rates on credit cards and loans, and you can save thousands of dollars throughout your lifetime in interest. Where do you start, if you do not have any credit cards or loans? The best place to start is by opening up a checking and savings account. This will help start building your credit history. It is also important to make sure that you keep accounts positive and do not overdraw your accounts or bounce checks. These can show up on you credit reports as negative marks. On the other side of this if you monitor your accounts and keep track of these accounts it can show positive behavior patterns. Yes, you read that right. Recruiting competition in the Silicon Valley has become intense, and this is making companies and start-ups across the valley begin to add unique things to their benefits packages. There is a shortage of engineers, programmers and developers that lack the skills the companies are looking for, and this has created a cutthroat environment for getting quality recruits. Giants like Google have stuck with tried and true incentives like hiking the wages for these positions by $20,000 in recent months, where others have resorted to the strange like one company offering free haircuts as an added benefit. Another approach that is different is offering recruits information and future funds to start their own businesses one day. Many start-ups have realized that most of the qualified candidates for these positions are entrepreneurial and have hopes to start their own companies. To stay competitive many companies are even letting employees view product plans and financials to learn what it takes to build a business. So, if the money isn’t enough to convince you to study up for those industry certifications, are extra benefits and incentives the tipping point? It all comes down to the fact that these companies need qualified people to fill open positions, and a good certification might just earn you competitive pay, and maybe some free haircuts too! Do you currently have a job that offers some not-so-traditional benefits? Let us know in the comments! Netiquette is defined as the rules of etiquette that apply when communicating over computer networks, especially the internet; or in the World English Dictionary, as the informal code of behavior on the internet. If it does not make a positive contribution or will not be of interest to several people, do not post it. Personal messages should not be posted to newsgroups. Re-read and edit your posting. Don’t post a message until you have read through information on the website including FAQ page. Is a little R-E-S-P-E-C-T all it takes to maintain an engaged workforce? In a recent blog, Engaging employees with RESPECT, the author Paul Marciano suggests that Aretha Franklin had it right all along. Marciano maintains that traditional rewards and recognition programs may work for a little while, but to keep employees engaged all you have to do is show a little respect. He goes on to list off some of the critical ways to do this and a lot of them are absolutely free to you. Recognition: Thanking and recognizing employees and their accomplishments on a regular basis. Sometimes just being recognized can make an employee feel confident in their position and what they have to offer. This validation can be priceless! Empowerment: Give employees training, tools, resources, and information that they need. Set them up for success! Giving your employees these tools will empower them and lead to innovation and success for your organization. Supportive Feedback: Give feedback, positive or corrective. It is a good thing for employees to know where they are and where they can go. Not having this information can leave them floundering and decreased productivity. Partnering: Create a collaborative work environment for employees. Collaboration can impact your organizations; profitability, sales growth, profit growth, customer satisfaction, productivity, product quality, product development, and innovation. Expectation setting: Set goals for employees and hold them accountable for reaching those goals. This can provide direction to employees and provides motivation for them. Employees will know where they need to focus their attention and will be better equipped to spot distractions. Consideration: Demonstrate thoughtfulness, empathy, and kindness. Employees are people and need to be treated that way, as individuals with unique capabilities. We all want to be treated as individuals. Trust: Show employees that you trust their skills, abilities and decisions. When you give employees your trust they will feel more accountable and will want to rise up above your expectations so they avoid letting you down. National and State specific data was released in a report from ACT showing that students are not pursuing careers in fields with the highest projected growth. The report showed that there is a gap between what students are interested in and job projections, and also that students are not prepared for coursework required in these fields. Computer/ Information specialties account for the biggest gap with a 9% difference between job availability and the interest of students. The question to ask now is, what is causing the gap? Are today’s students getting bored with these subjects? Are they not offered enough options to prepare for these job roles, and merely take a “safer” route? We recently came across this video, where Sir Ken Robinson talks about traditional public education, and ways to reform it to do a better job of accommodating all students. Today marks the 100th Anniversary of International Women’s Day. This day is celebrated to inspire and celebrate women’s achievements around the world. It is an official holiday in many countries across the globe, and today on the centennial, people around the world are gathering on bridges to show support for women’s causes. If you go here (also accessible by clicking the Google logo on Google’s home page) you can find one of the bridges nearest to you, or if you can’t get to one of them, you can log in virtually to participate. 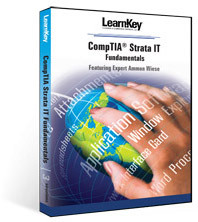 The CompTIA Strata IT Fundamentals exam FC0-U4, is designed for individuals that are new to the IT industry and who are looking to prove their knowledge and understanding of technology and computer hardware basics, compatibility issues and common errors, software installation and function, security risks and prevention, Green IT and preventative maintenance practices. This is a great starting point for anyone starting out in IT including students, people looking to switch careers or those looking to solidify their knowledge by achieving certification. Whether you are an employer or employee, think of your workplace – you probably have computer programs that make your job much easier. Maybe you use Microsoft Word to create letters and proposals, or maybe you use Google Docs to collaborate and share documents between your various offices. Technology is often implemented to make work more efficient, but what about decreasing the time between the hiring and starting work? What about the training? Training can be difficult to find time to do in the workplace. When you get hired at a new job, they hired you because there was a position that needed to be filled, which means often times they need you to start right away. This can sometimes make it difficult to find time for training. That’s where a flexible, training program that is available 24/7 comes in. In an article by Margery Weinstein “Technology Keeps Training on Track” she discusses the challenges a retail store faced with training employees. The main challenge was the amount of time available to train. This was solved by implementing a training program that was available online all the time, and the lessons were divided into short modules of 5-10 minutes. This new program proved to be more successful for the retail company. So, think of your workplace again – you’re currently using various technologies to make your work easier. Where else could changes be made? 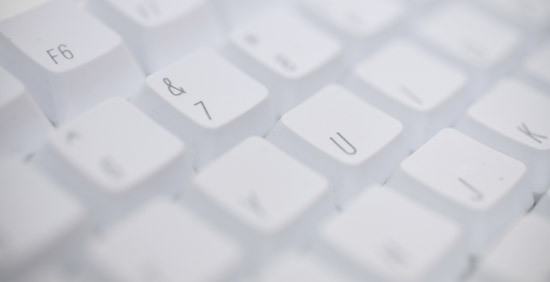 Could your business benefit from an online training program?